The award recognises excellence in Medical Physics with a particular view of promoting medical physics to a larger audience and highlighting the contributions medical physicists make for patient care. The IDMP Award is linked to the International Day of Medical Physics (IDMP) from which it takes its name. The 2018 IDMP theme is “Medical Physics for Patient Benefit”. 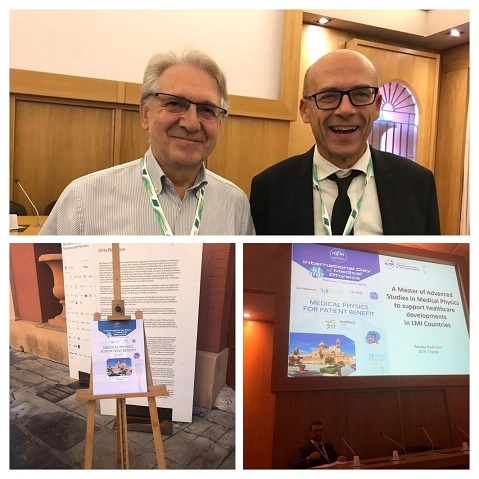 Renato Padovani recipient of the IDMP2018 award with Marco Brambilla, EFOMP president during the IDMP2018 celebrations in Palermo, Italy.